Diabetes is a tough disease for anyone, but females with diabetes face their own challenges. Both girls and boys can be develop Type 1 and Type 2 diabetes, but only females have to be concerned with a type of diabetes that begins during pregnancy. Gestational diabetes, which can cause high blood sugar, is not only a concern for mom, but her baby as well. Compared with men with T1D, women with T1D are more likely to have a fatal heart attack. In a study of 23,000 men and women, women were 4 times more likely to die from a heart attack. The increased risk for cardiovascular disease that leads to this often starts in the teenage years where teenagers are already starting to show risk factors. Girls are more likely to develop T2D than boys, occurring in both usually after 10 years of age. Along with other important factors we can’t control, such as family history and certain ethnicities, just being a woman increases your risk for Type 2 diabetes. Girls with T2D have a unique risk for polycystic ovary syndrome which can lead to irregular periods, excessive hair growth and acne. Pregnant moms with T1D and T2D must be aware of the effect of pregnancy on their diabetes control and that they are at increased risk for complication because of their diabetes, including death. Pregnant moms with all forms of diabetes must also worry about their baby’s health as diabetes during pregnancy, particularly when poorly controlled, can have a significant impact on the developing fetus. As you can see, the risk of diabetes and pregnancy is a big part of the unique challenges that women with diabetes face. Diabetes occurs in approximately 5-10 percent of U.S. pregnancies (2 percent have Type 1; 8 percent T2D and 90 percent have gestational diabetes). Along with the risk of cardiovascular disease, women with diabetes have to contend with the fact that babies born to moms with poor diabetes control have an increased risk of birth defects, such as spina bifida or microcolon. The babies can also have complications at delivery such as low blood sugar, low calcium and increased risk for certain breathing problems. “I know that all moms would like to be at their ideal health prior to conception, it’s especially important for women with diabetes. However, 50 percent of all pregnancies are unplanned and the majority of those with diabetes have gestational diabetes; therefore, the mother’s glycemic control may be inadequate at time of conception and during the early part of her pregnancy,” said Don Wilson, M.D. an endocrinologist at Cook Children’s. Get to know Don P. Wilson, M.D. 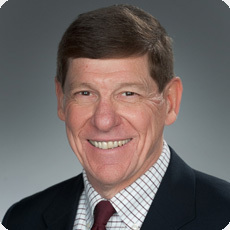 Dr. Wilson is the medical director of the medical director of the Cook Children's Risk Evaluation to Achieve Cardiovascular Health (REACH) clinic. The REACH team is committed to improving the lives and well-being of children who are at risk or affected by obesity, high blood pressure or high blood fats. The teams does this through a complete medical history, as well as changes in lifestyle, education and, when necessary, medication. In 2011, Dr. Wilson joined Cook Children’s Medical Center in Fort Worth, TX, where he currently serves as the Endowed Chair, Cardiovascular Health and Risk Prevention Program. Is there a greater risk for women with PCOS to also have diabetes? Thank you Nicole for your question. Yes, in many women it is thought that PCOS is caused by insulin resistance. Insulin resistance occurs when the body is not able to properly use the insulin that is produced by the pancreas. Over time, the blood glucose levels tend to rise, generally to a level that is consistent with diabetes. Often, PCOS is treated with metformin, to help reduce insulin resistance and prevent diabetes.